SIZE: Up to 3 feet tall and 75 pounds. FAVORITE THING TO SAY: Freeze a jolly good fellow! 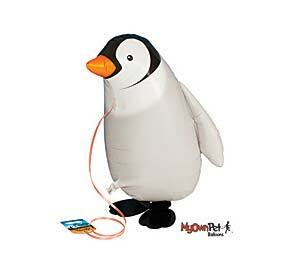 I?m a Penguin from way, way down by the South Pole where it?s very cold. I can?t fly like other birds, but I?m a really good at swimming and can hold my breath underwater for 15 minutes. I live with lots of my friends and family, then jump into the water to play and catch fish. When I walk, I waddle. And I love to have fun sliding on my belly through the ice and snow.